Colt Data Centre Services (DCS) today announces its new partnership with Regio-Glasvezel, a carrier services provider for organizations and business parks who design, construct and operate fiber optic infrastructure. 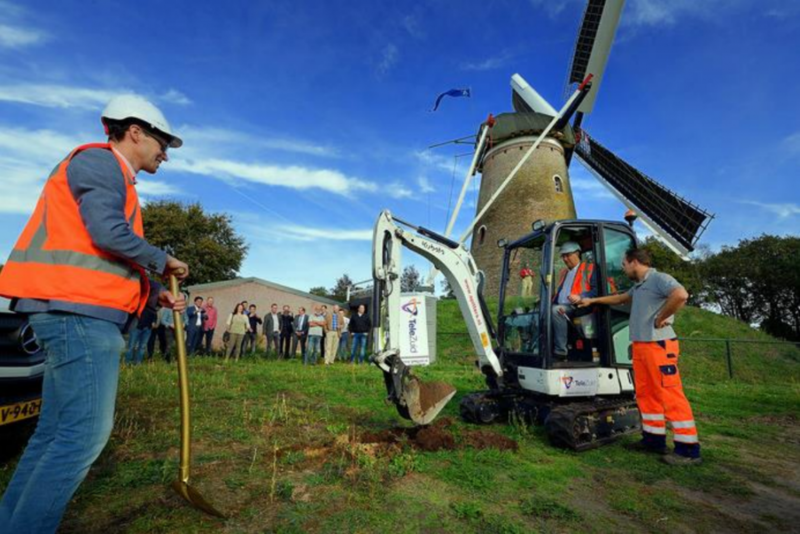 After almost 20 years of wait Breedband Buitengebied Rucphen (Broadband Countryside Rucphen) will provide the countryside with super-fast fiber optic network connections spanning 120km. The area covers several nodes including the villages of Rucphen, Schijf, Sprundel, Sint Willebrord and Zegge, where hundreds of connections are going to be realized. Preparations for the construction of the new fiber optic network are now in full swing, providing the opportunity to connect local companies situated around Business Parc Majoppeveld-Zuid, Roosendaal. “With online presence becoming ever-increasingly important, to be always on, always connected and always ready is imperative for businesses and individuals to go about their lives; whether managing data traffic across the internet, telephony, cloud, back-up, VoIP and many other online applications. There is no continuity without connectivity.” says Fred da Graça, Senior Account Manager and Co-Owner at Layer23, leading the project on behalf of Regio-Glasvezel. Until the end of November, contractors will be visiting local registered addresses within the surrounding areas to plan implementation. After that, a definitive schedule will be produced for upgrade. Expectations for the first houses to be connected looks towards March 2019, with the project being complete within the following 12 months much to the delight of local residents. Nederlandse versie van dit bericht.